If you identify with “not having a green thumb”, chances are pretty good that you have killed a plant or two in your life. That’s the bad news; the good news is that you don’t have to kill plants, even if you have a brown thumb. You can keep your houseplants alive by just following these four easy steps. 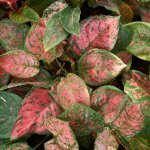 The first step to keeping your houseplants alive is to find out as much as possible about your specific plant. If you buy the plant from a green house or a nursery, there will probably be a little card with instructions in the soil of the plant. These instructions will be simple, telling you if the plant likes low light conditions or if it likes direct sunlight and how much you should water the plant. 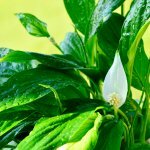 If you are getting the plant as a starter from a friend, you should ask about the plant that it came from. Find out about the lighting and the watering schedule that the parent plant has done well with. If you know the name of the plant, you can always go to the Internet to gather information and care instructions for the plant. Once you find out this information, you should write it down in a safe place if you think that you are likely to forget. Step 2: Make A Watering Schedule. One of the number one ways that people kill their plant is by mistakes in watering. Once you find out how much water your plant likes, you need to make up a watering schedule and stick to it. 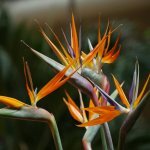 You will probably end up watering your plants twice a week, with the thirsty plants getting watered on both days and more arid plants only getting watered once a week. You can write down the watering schedule on your watering pitcher if you have a hard time remembering. You can also write down how much water each plant likes to receive. A good idea when it comes to watering is to use a pitcher that has the liquid amounts written on it. That way you can see exactly how much water a plant is getting. Step 3: Monitor your plants for signs of distress. Your plants will tell you when things are going wrong. 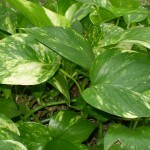 If your plant suddenly begins to look sickly, with yellowing leaves, there is a good chance that you are overwatering it. Drooping leaves indicate that the plant is thirsty. Dry, brown leaves can indicate that the plant is drying out from too much heat or too much sun light. As you begin to pay attention to your plants, you will learn the symptoms of distress and you will also learn what to do about it. Try moving your plants around if they are showing signs of too much or too little sunlight. Step 4: Fertilize you plants. Any store that sells plants will also sell plant food. This might be an additive that you put in water every couple of months, or a nitrogen stick that you place in the soil. Whatever plant fertilizer you buy will be effective. Just make sure that you follow the directions exactly. 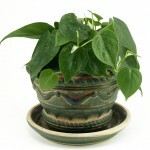 Read the instructions carefully to decide the dosage necessary for each of your plants. By properly feeding your plant, you will make it greener and healthier. Something to remember about plants is that they are more often killed by too much care than by not enough care. Too much water will turn the leaves sickly yellow. Too much fertilizer will turn the leaves brown.